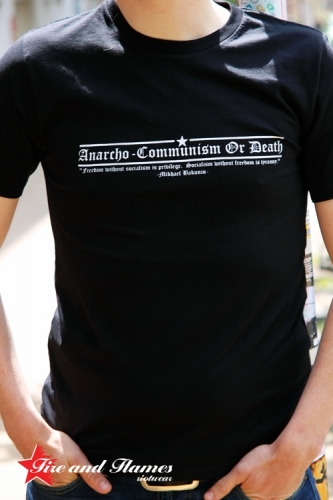 Return of an old fellow in two respects: the good old „Anarcho-Communism Or Death“ motive – one of the first and probably best FF shirts ever – finally available again speaking the truth in the even older words of Mikhael Bakunin from the 19th century: „Freedom without socialism is privilege. 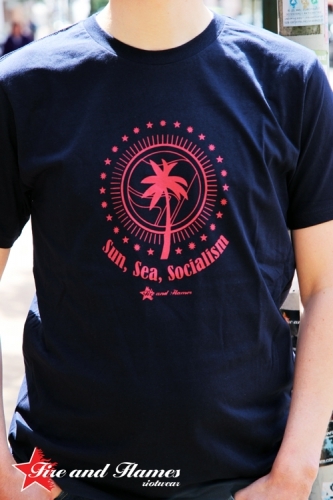 Socialism without freedom is tyranny.“ Too right comrade! Take your chance to spread his message whereever you go and get your ex right here (Ladiez/Bois). Bon anniv‘ Los Tres Puntos ! 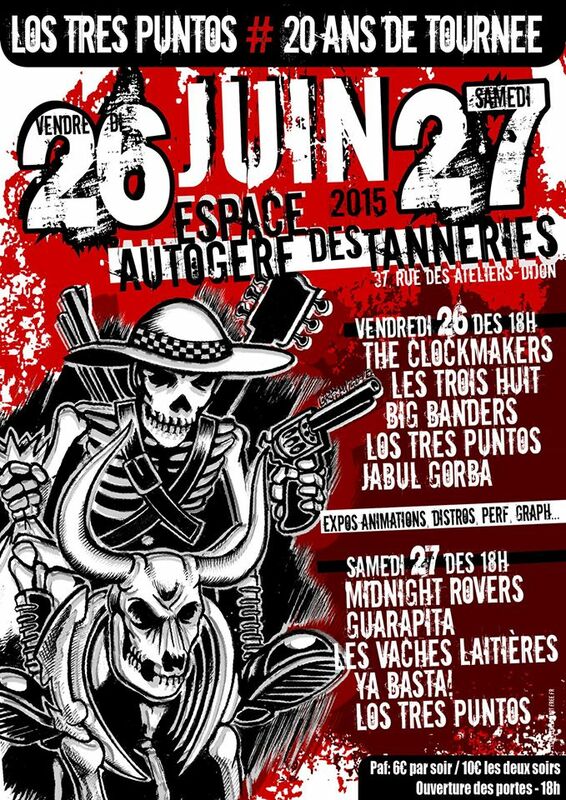 We‘re heartbroken that we‘re not able to comply with this invitation to the big 20 years birthday bash of our mates Los Tres Puntos taking place in Dijon at legendary Les Tanneries this week-end. It’s even harder if you recognise the top class guest list: Les Trois Huit, The Midnight Rovers, unbelievable reunion shows of legendary Guarapita (!) and Ya Basta (!!!) and many more. So if you are not in this bad situation to be these insuperable 1093 kilometers away from the place be – don‘t miss that certainly unforgettable week-ender! 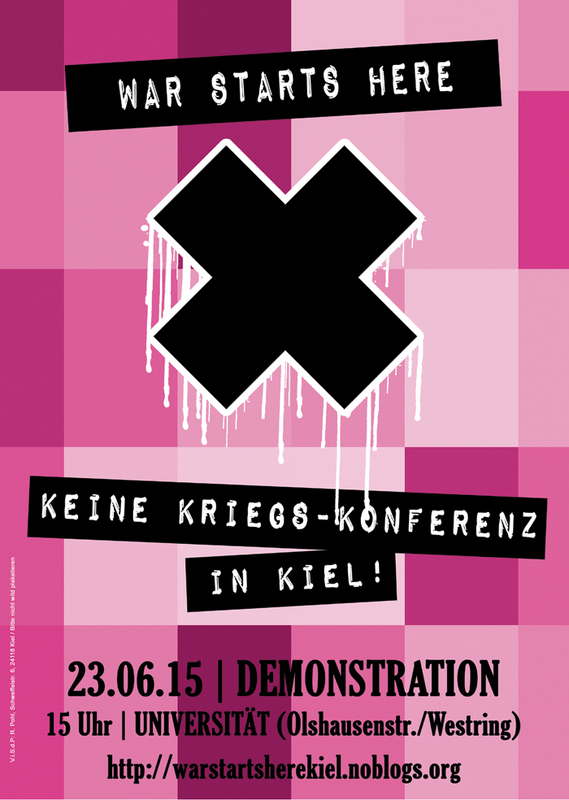 Kiel is Warzone – sink the NATO-Conference! From this week end on the so called Kiel Week will take place in our hometown. And as if there’s not already enough wankers coming along for this mainly stupid event, also the militarists – traditionally always a formative component of this festival – go on the offensive this year and try to establish the „Kiel Conference“. Planned as a northern equivalent to the annual „SiKo“ in Munich, NATO strategists, war scientists, arms industrialists and bourgeois politicians want to talk about their upcoming wars on the baltic sea and push the militarisation of society. Thankfully the good side also already started a local mobilisation against military, war and capitalism. So don‘t be shy … come along and help to sink these ugly warmongers in the sea! Antifascist Music against white Noise! This weekend the Rock am Berg – Open Air will take place in Merkers, a site in the periphery of Thuringia. An area which isn’t famous for its emancipatory orientation and for example nearby the place of origin of the National Socialist Underground. In such circumstances this festival sets a clear statement against right-winged politics and subculture for already ten years. Of course reason enough to support this festival. But its also a good opportunity to enjoy some good antifascist music like the outstanding Baboon Show, the “Drunken Reggae” from Jaya the Cat or the „Deutschpunker“ from Alarmsignal. Actually we wanted to join the festival personally but the bonds of wage labour foiled us. 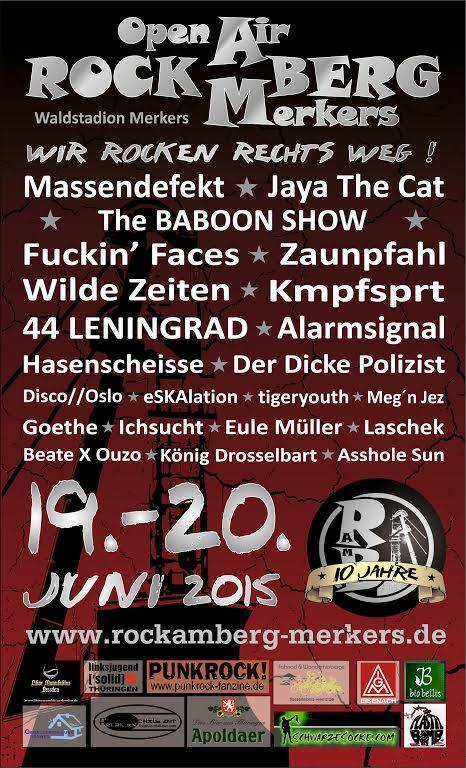 Thanks to the comrades from the “Rock am Berg” – festival there will be a fine selection of Fire and Flames Riotwear. So, if you have no plans for the weekend and live near Merkers, join the Rock am Berg. If you have already plans or don’t live nearby, anyway, join the Rock am Berg! Also check out some restocks not listed here. Go this direction! Du browst gerade in den Fire and Flames Weblog-Archiven nach dem Monat Juni 2015.